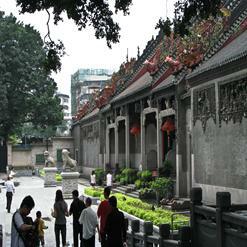 Established in 1959, the museum is located on the former site of Guangdong Advisory Bureau. The museum aims at narrating and illustrating revolutionary struggle of people from the first and second opium wars to People’s Republic era. Thousands of items, historical photos and top-grade items are housed by the museum portraying the revolutionary eras. Topics like politics, folks, customs, economy, health, culture and education are covered in the museum.